Diane Boyd gave a well-received presentation last Wednesday during a seminar hosted at the University of Montana W.A. Franke College of Forestry and Conservation . . .
A lot of people talk about the important role federal and state lands play in protecting wolves, but Diane Boyd, a wolf and carnivore specialist, said those public landscapes often are at high elevation and don’t harbor wintering populations of deer and elk. 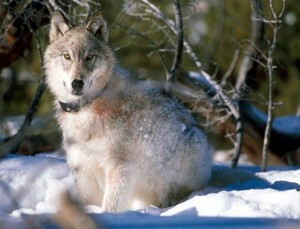 In fact, the scientist said Wednesday that wolves need both private and public lands protected, and the private swaths are critically important. “They hold the key, in addition to the federal lands, to maintaining grizzly bears, wolves, elk, deer, everything,” Boyd said.